Mumbai Indians (MI) is all geared up to face Sunrisers Hyderabad (SRH) in the match no 19 of VIVO Indian Premier League (IPL), 2019. The match will be played at Rajiv Gandhi International Cricket Stadium, Hyderabad. Mumbai Indians has four points, as they have won two out of the four games till now in IPL Season 12. MI skipper Rohit Sharma has something to say ahead of SRH vs MI, IPL 2019, let us check what does The Hitman has in store for us in the upcoming game. SRH vs MI Head-to-Head Record: Ahead of IPL 2019 Clash, Here Are Match Results of Last 5 Sunrisers Hyderabad vs Mumbai Indians Encounters! Mumbai Indians won their last game against Chennai Super Kings (CSK) by 37 runs at Wankhede, where CSK was unable to chase down the total of 170. MI shares video of their captain speaking about their plan ahead of their encounter with Hyderabad. Mumbai skipper Rohit Sharma is pleased by the performance of his team in their previous clash with CSK. 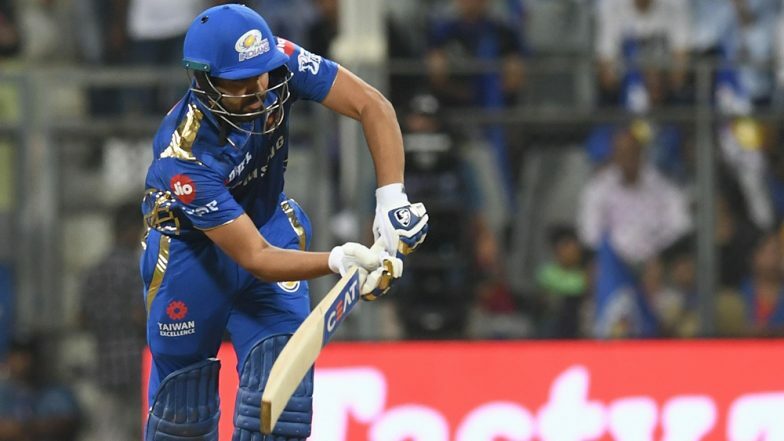 According to the right-handed batsman Sharma, MI will take one game at a time and will plan a different strategy for each team. Sunrisers Hyderabad vs Mumbai Indians Live Cricket Score 19th T20 Match. Mumbai Indians will look forward to moving up the point table by sealing the victory tonight against SRH. However, the task will be tedious for the men in blue, as SRH are doing good with both bat and bowl. It will be interesting to see how MI pace bowler Jasprit Bumrah bowls against David Warner and Jonny Bairstow.